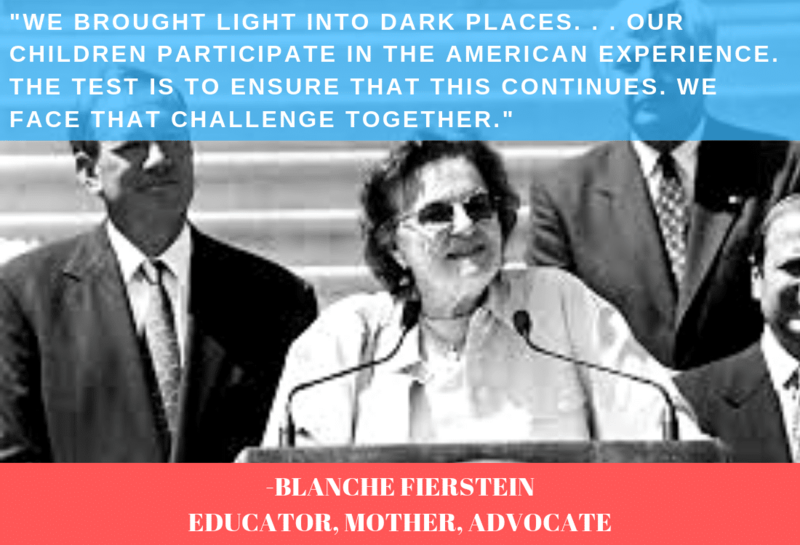 To make a difference, you must be bold, just like Special Education Leader and Advocate Blanche Fierstein! Apply for the 2019 Blanche Fierstein Scholarship for students pursuing an advanced degree in special education. The deadline is April 29. For more information, please visit our scholarship page.